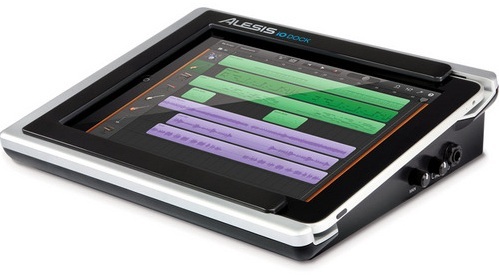 If you happen to already own an iPad, this new device from Alesis can quickly turn your iPad into a portable recording studio. While it’s aimed at musicians, it has features that can easily be utilized by video audio productions. Its two XLR inputs are phantom powered for any type of mic you can throw at it. The only limitation is the need to have it plugged into an external power source such as wall outlet or portable battery. Still, at under $200, it’s cheaper than a Zoom H4n. This devise has allot of potential for onset sound recording< but does the dock work with batteries?